You probably know me well enough by now to realise that I can’t resist interiors that have been designed around textures. Exposed brick, combinations of timber, metal finishes, concrete… throw texture into the mix and I’m sold. 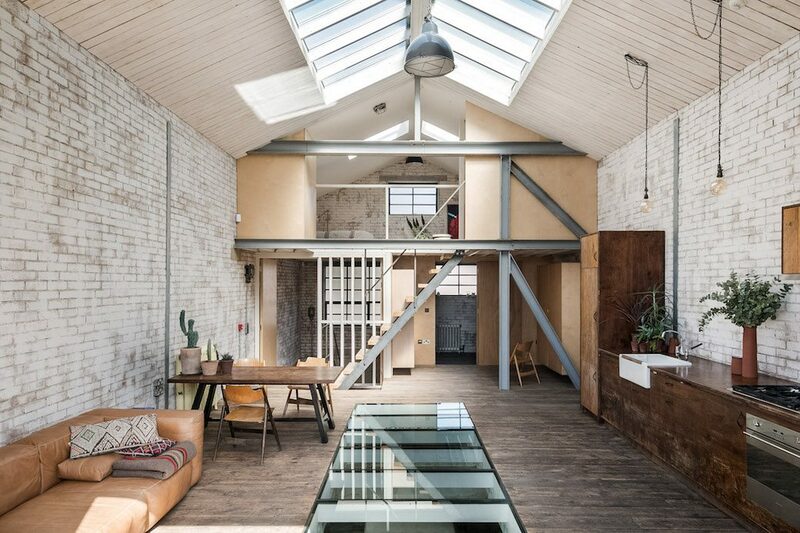 This warehouse conversion on Warley Close in London’s E10 is on the market with The Modern House and offers a striking example of how to use textures – both existing and new – as the foundation for an interior. This former industrial space has been redesigned and adapted for the current owners – a photographer/filmmaker and a musician – to create a flexible home that combines live and work spaces. Arranged over three levels, the scale alone is striking as there’s over 2,200 sq/ft of space here. When I look at this house, just as a set of photos without any of the accompanying details, I’d never guess that it was located in London. From the choice of materials to the quiet restraint of the design, to details such as the pebbled courtyard garden, I visualise this house in a much less urban setting; a peaceful place away from the hustle of the city. Yet this house sits on Tiverton Road, between Kensal Rise and Queens Park in London’s NW10, and this ‘quiet’ design offers a respite from the urban environment that extends out beyond it. 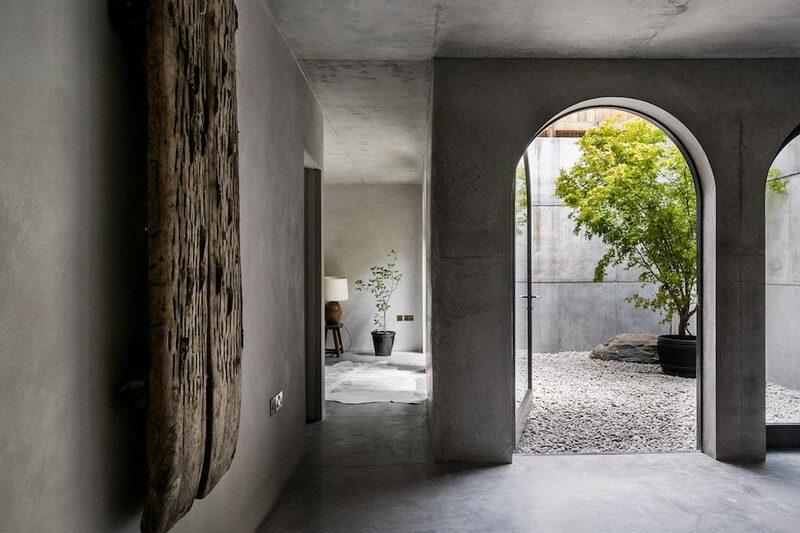 Currently on the market with The Modern House, this property is described as a ‘monastic oasis’, and I can’t think of a better description for a design as pared back and beautifully simple and thoughtful as this. And after this break, there’s so much to blog about, so I’m going to dive right in with a house I spotted on Fantastic Frank. 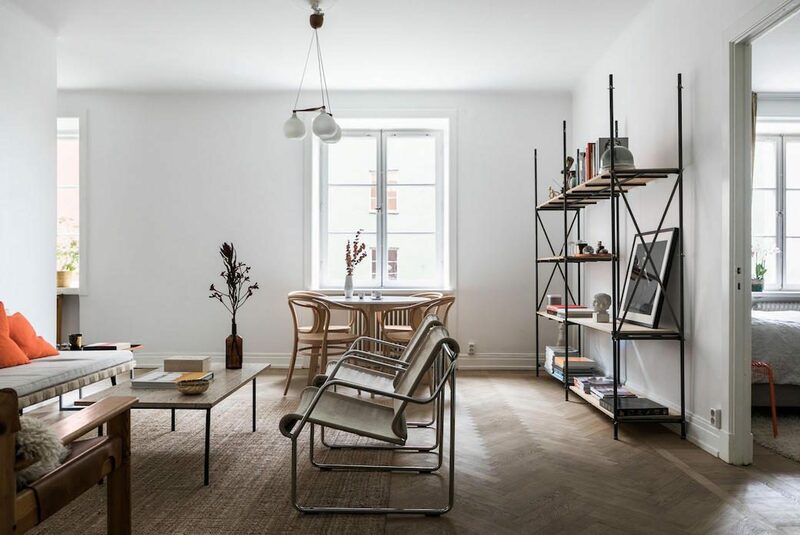 It’s been way too long since I’ve shared a gorgeous Swedish home, and while I have a list of spaces I need to share – look out for a fantastic Edinburgh Airbnb coming up – I just wanted to start with this super-styled Stockholm apartment. Why? Well, because Edinburgh is really feeling like winter now. It’s cold and it’s grey and I’m missing daylight. And this light-filled apartment is reminding me that winter won’t last forever. Anyone else need cheering up today? Grange Hall is one of those buildings that I wouldn’t be able to walk past without pausing to take a photo – there’s just something about this façade with its weathered, rustic-looking brickwork that I can’t resist. The original West Hackney Parochial School in Stoke Newington in London’s N16 was built in 1857 as two large halls that housed the girls’ wing to the west and the boys’ wing to the east. 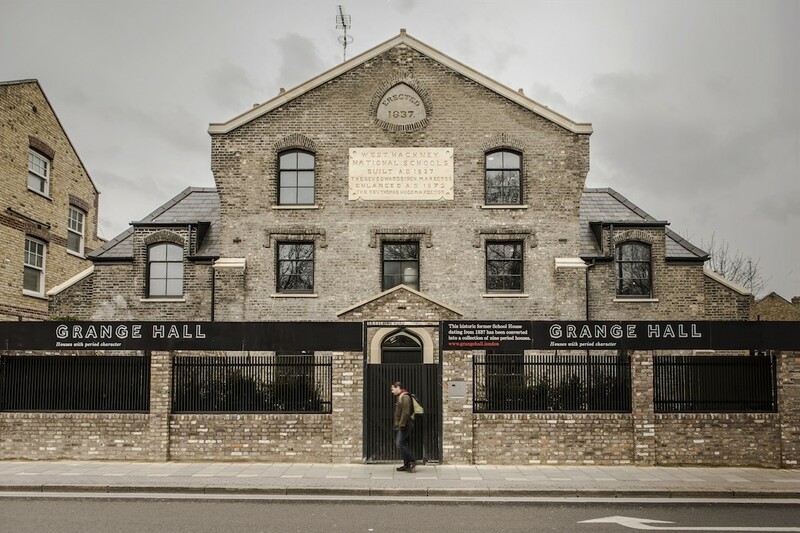 The building was later used as a church hall, a social hall and a snooker hall, and more recently its name was changed to Grange Hall and it was used as a warehouse for electrical fittings and rare transistors. It’s funny how some properties – and some developments – just connect with you. Years ago, way back in 1999 – and yes, I can barely believe it was so long ago! 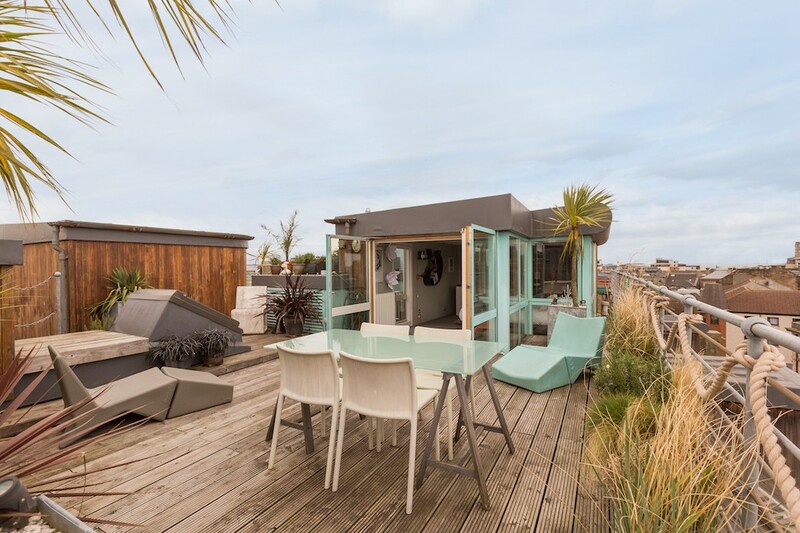 – I visited this loft development in Edinburgh’s Leith area. Named Leith Lofts, the project architects, Duffy & Batt (since reborn as Studio DuB) converted two former B listed whisky bond warehouses on Maritime Street in the heart of Leith to create 28 apartments. 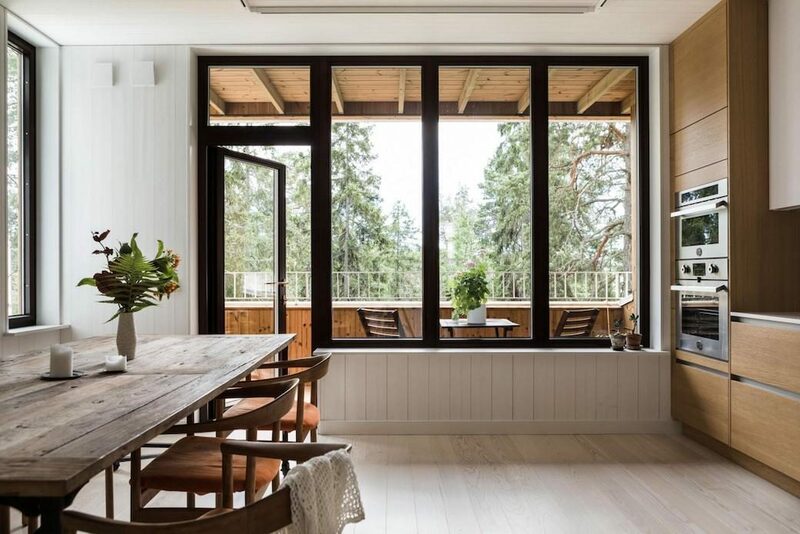 Buyers had the choice of purchasing a shell where they could fit out the interior themselves, or buying a completed apartment. Over the years I’ve written about a few of the lofts, and each has been interesting and unique, not only in terms of the individual spaces but also in the way each owner had interpreted and worked with the characteristics of each space.